Children often don't know better than to enter their personal information into forms online whether it's to register for a website or sign up for a chance to win a prize. So it's possible that details about your address, credit card number, and other sensitive information is being given to questionable websites. 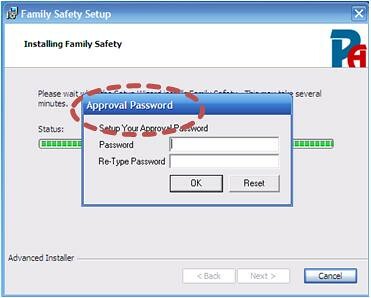 Internet Family Safety helps you prevent such occurrences by letting you pre-select or whitelist certain sites that your children can give personal information to and those sites that they can't without parental approval (and a password). The toolbar scans for certain keywords on web pages to determine whether to allow the sending of information, and you can customize which keywords you're concerned about. Children should be given Limited accounts, and Administrator accounts should be password-protected.